To download the image above to use as your desktop wallpaper, simply click the image (or this link: January 2013 Desktop Calendar) and choose Save Image As… Then, open the picture, right click and choose Set as desktop background. I started publishing these monthly desktop calendars last year, and then I learned that the photos I thought I had permission to distribute to you all couldn’t be shared after all, so I unfortunately, had to stop. A few months later, a friend who had admired some of my photos on Instagram joked that I should create a #wildwonderfulwestvirginia calendar. 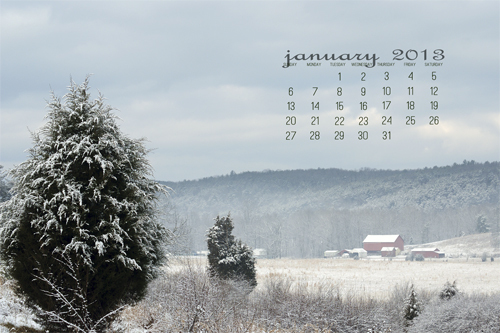 With that idea in mind, I started gearing up for monthly desktop calendars featuring photos taken in our beautiful countryside! The photo above was shot on Christmas Eve from our backyard while the girls happily played on their new playset. I hope you enjoy having it on your desktop as much as I do! We also have several new contributors joining the site to bring you posts on photo composition, homeschooling, homesteading, DIY green projects and more! And a friend of mine, Lauren, will be joining the team to help me manage the conversation on social media, so look for more ways to connect on Twitter, Facebook and Pinterest in the coming weeks. Susan at The Confident Mom offers a variety of practical tips and resources for busy moms. 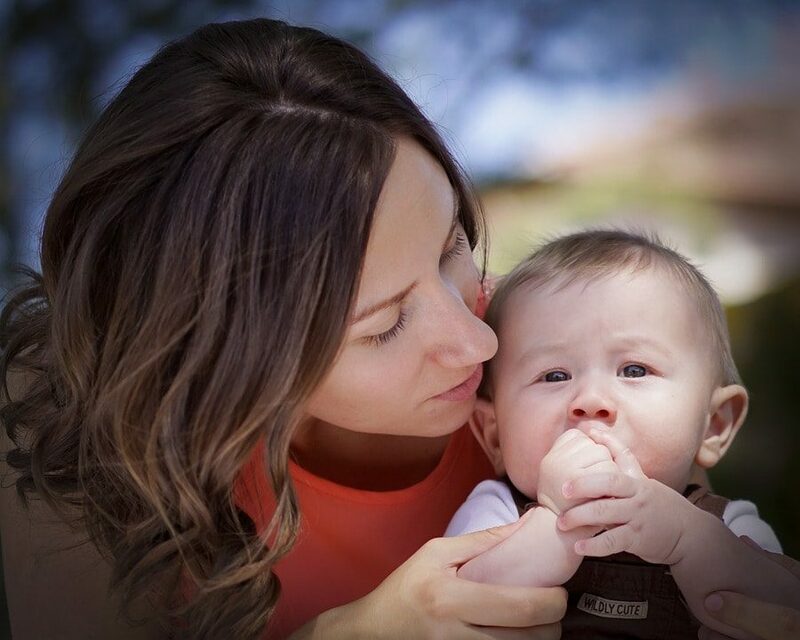 From her popular weekly household planner to her current 31 Days to Becoming a Frugalista series, Susan is helping empower moms and strengthen families every day! Save 20% on the DIY Family Manager Makeover with coupon code NEWYOU! Valid through Jan 31, 2013. I’ve had the privilege of working with Plan to Eat for almost three years now in a variety of ways, and I’ve been an enthusiastic fan of the program since I first started using it. With an online recipe book, drag-and-drop meal planner and automatic shopping list tool, this program has truly simplified the way our family plans meals, and it’s made our real food journey so much easier! Receive 30% off an annual subscription to Plan to Eat using the coupon code livelifeyourway. Valid through January 31, 2013. Lisa Leonard is known for her inspirational and stylish handmade stamped jewelry, and this year’s collection does not disappoint. With a brand new line of gold jewelry plus fun pieces like the word-of-the-year necklace, Lisa’s designs are the perfect way to dress up your mom uniform or get ready for a date night with your hubby! The brand new Build-a-Charm bracelet is on sale for just $125 for a limited time! With your purchase, you’ll receive a new charm every month in 2013 to add to your bracelet. No code necessary. Mighty Nest is your online resource for safe, green products for your home. With a hand-selected collection of kitchenware, body care, toys and more, MightyNest offers products that are free of toxic ingredients and made of stable non-leaching materials such as glass, food grade stainless steel, silicone, natural wood and bamboo, organic cotton and natural rubber. And their stuff is cute too, so you can be stylish and green at the same time! At Simplify 101, professional organizer Aby Garvey offers tons of organizing tips, articles and blog posts to help you organize as well as organizing workshops that offer you the chance to work with an organizing expert without the cost of hiring an in-home consultant. Aby’s down-to-earth style makes getting organized simple and attainable! Use YOURWAY during checkout to take 15% off all the online workshops and instant downloads at Simplify 101. Valid through Jan 14, 2013. Can’t be combined with other offers. I’m just starting to research the health benefits of cultured food, and I’m excited to be working with Cultures of Health, where you’ll find starter cultures for everything from sourdough and yogurt to kombucha and kefir as well as a variety of how-to videos and recipes! Save 25% on your Sourdough Starter with coupon code YourWaySourdough. Valid through January 31, 2013. Thanks so much for being part of the Life Your Way community. I look forward to your comments and emails, and you all truly make this site what it is!